Double-walled stainless steel containers with internal lead sheet shielding. Double-walled & lead filled clam shell type segmented temporary pipe shielding. Small shielded containers for "hot" items. Double-walled steel pipe containers with internal lead. Both ends accessible for threading ICI cables through the container for capturing of very high rad in-core instrumentation sensor. Separate bolt-on caps for covering the ends after capture. Internal pipe had full port ball valves on each end and a long-handled tool was supplied for opening and closing these valves. 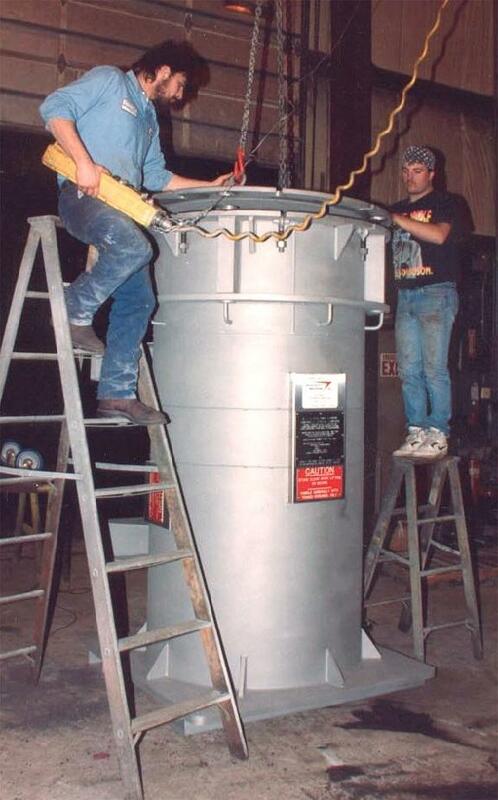 Heavy-walled carbon steel on-site storage containers for contaminated reactor coolant pump components including rotating element assemblies.